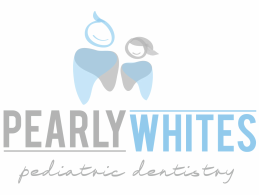 At Pearly Whites Pediatric Dentistry we envision a practice where every child enjoys exceptional oral health. We value dentistry as an inseparable part of overall health. The welfare of your infant, child and adolescent is respected for each person's unique qualities. We recognize the need to ensure maximal health attainment for all. Our goals are to promote health and disease prevention beginning with comprehensive dental care starting by age 1. We provide care for infants and children through adolescence, including those with special health care needs.